Looks like you pulverized rocks. I see that its Waring blenders that you were using. I hope you’ll be partnering with the VitaMix corporation, an American company that manufactures its products in the US. Vitamix as I’m sure you know is considered by most to be the best blender available anywhere. Waring is owned by Conair and according to the Conair.com website manufactures its products in Costa Rica. I encourage you to partner with Vitamix, not only because it’s an American product but because they manufacture a superior product. I take it you have never used a Waring blender of this caliber and, like most chefs you have gotten so used to using the Vita-Prep that changing your loyalty seems impossible. So you know, we are owned by Conair, along with 13 other divisions who work independent of one another. You will be happy to know that Waring’s Xtreme blenders are manufactured in McConnellsburg, Pennsylvania. We are very proud to be an American company who has just celebrated our 75th year in existence and celebrated bringing the first blender to the American public in 1937. We are also proud to have been the blender of choice for Dr. Jonas Salk in the late 40’s and early 50’s which played an integral part in developing the polio vaccine that saved millions of Americans. Today we have many chefs, those that are quiet and those that are high profile, utilizing our blenders in their kitchens. 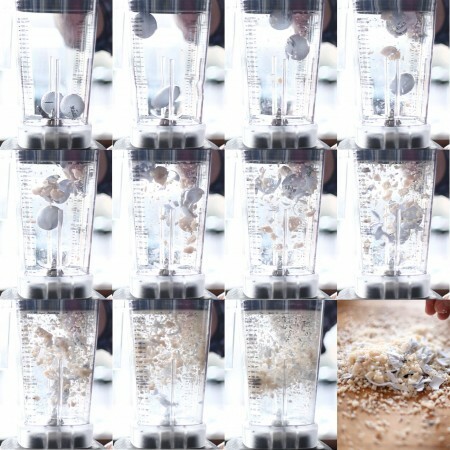 If you would try the Waring blender, I believe you would immediately see who has the superior product and you would know who is investing in chefs and focusing their future on the back of the house. Looks like golf balls to me. I think it looks like a candy with a hard coating or a pill – the first picture appears to have some writing on it.